LEGO – always a favorite for learning about building and creating. Here is a motorcycle themed set I’d never seen before. A motorbike dealership set from 1984. Complete with showroom, helmet display and office, as well as a little flower bed out front. 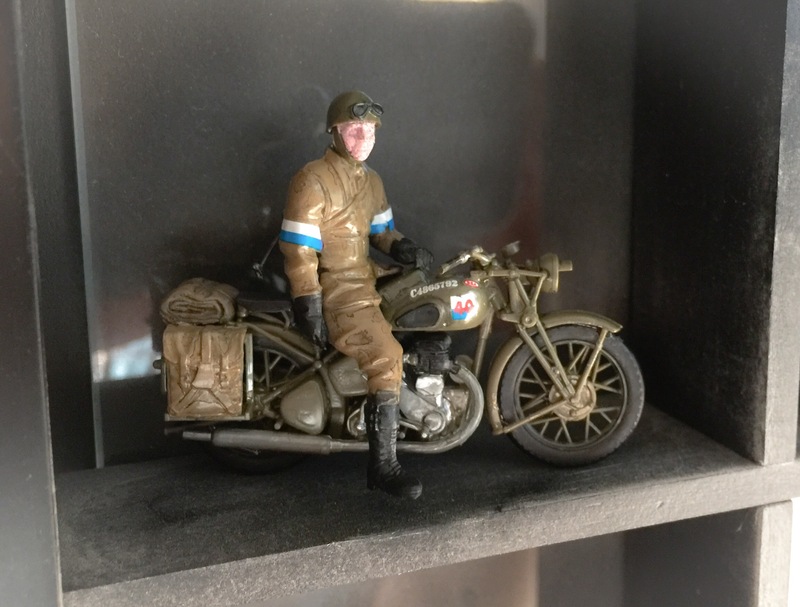 Scaled Down – another model bike for my select collection. This one is an eighteenth scale Tiger 800.
it has a decent level of detail for the XR version of the multipurpose Triumph. Merchandise- the New Years Honours list was published today… little did I know but actor Henry Winkler was made an honorary OBE back in 2012. As we know he was The Fonz, cool greaser in the hot 70’s tv shoe Happy Days. As with any popular character there was plenty of supporting items for sale. Geordie Tradition – growing up in the North East of England one of the highlights of the season was a trip to Newcastle to see the window display at Fenwick’s department store. Several windows were set up in a theme of mechanical marvels. This year they bring to life The Snowman, that Raymond Briggs character introduced to British Christmas culture forty years ago. This photo has the frosty character haring across a winter scene on some red tanked motorcycle. A point of note for this image: Greggs is a bakery popular with Geordies for meat pasties and stottie cake sarnies… they reversed their Northumberland Street shop sign so when reflected in Fenwick’s window it would read correctly… cunning marketing! LEGO – a brick set from the mid seventies just when I was taking notice of motorbikes. Not bad when there was limited styles of pieces. Tinman – clockwork motor wound up with a small key. These brightly colored toys are fun to look at; both the illustrated mechanics as well as the riders clothing. 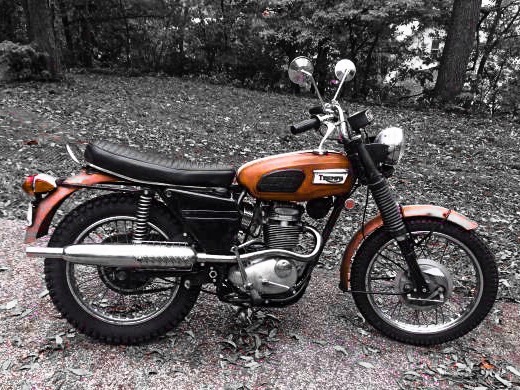 Some original examples can reach prices like a real motorcycle… my favorite is the couple riding smartly on the top right. LEGO – brick by brick here’s an accurate model Triumph Rocket Three. Mostly recognizable pieces put together with typical assembly methods. It would make a cool kit. Britains – nice period catalogue spread from the early seventies. I just need the pair on the Lambretta scooter for my collection. B.S.A. Scaled – just finished this little Tamiya BSA M20 model kit. First one I’ve built for thirty odd years. 1:35 scale with darned small waterslide transfers. I have the rider and bike in courier colors but this would have been the model my grandfather rode across North Africa during WW2. Next throwback hobby: balsa Spitfire! Throwback Thursday- here’s an example of the wee 250 Trophy I bought when first arriving in the US back in ’98. Decent tool to scoot about the City, finding my way around, got my US drivers license on it too! About as much power as a wind-up toy; but Lake Shore Drive was mighty fun on it! 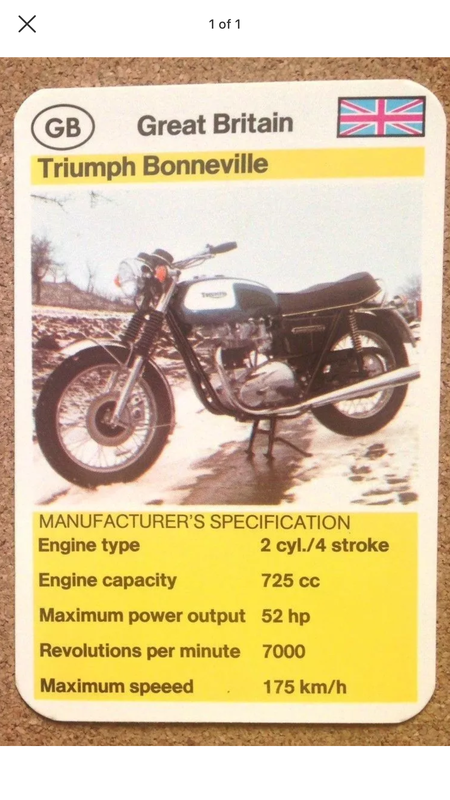 Top Trump – Top Triumph – classic schoolyard card game of seeing which specification of different collections of vehicle match against each other. Aircraft, ships, cars, military, commercial, racing. 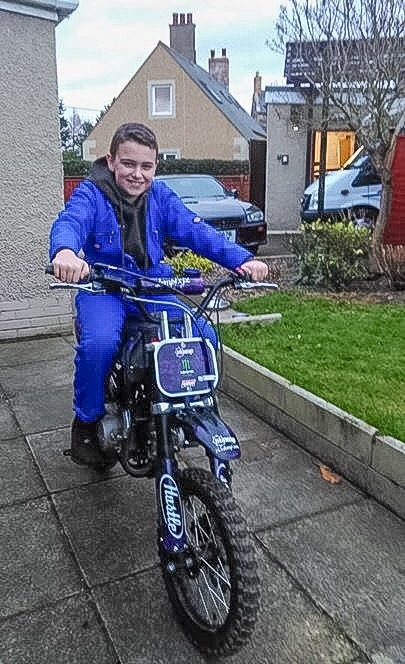 I had a set of racing motorcycles and fighter jets. Britains – these were my favorite toys growing up. 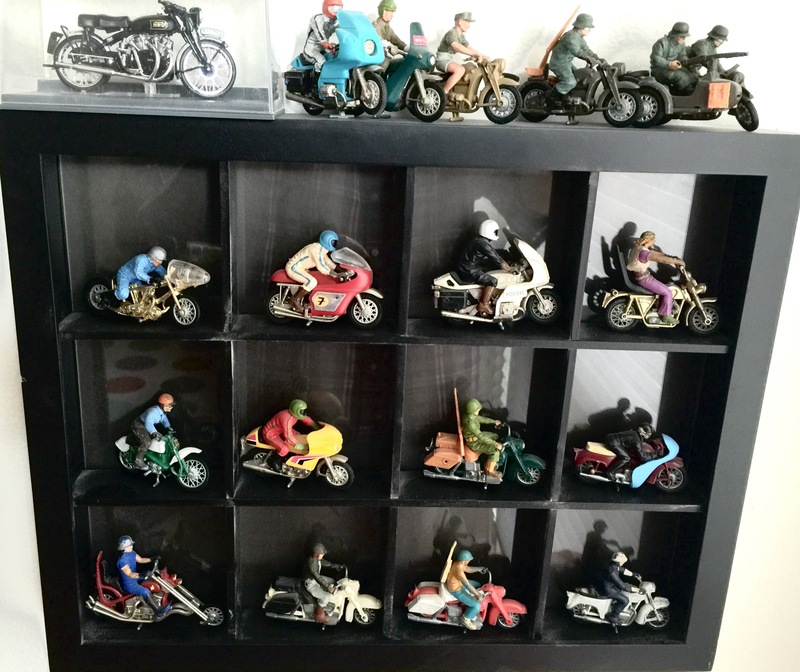 The perfectly sized and detailed motorcycles from the century old die-cast toy manufacturer. All of my childhood bikes either broke (in my quest for how things were put together), or were lost. These are more recent EBay acquisitions. The Mouse that Roared! Kids love a good story of adventure and action whereby the underdog makes good. 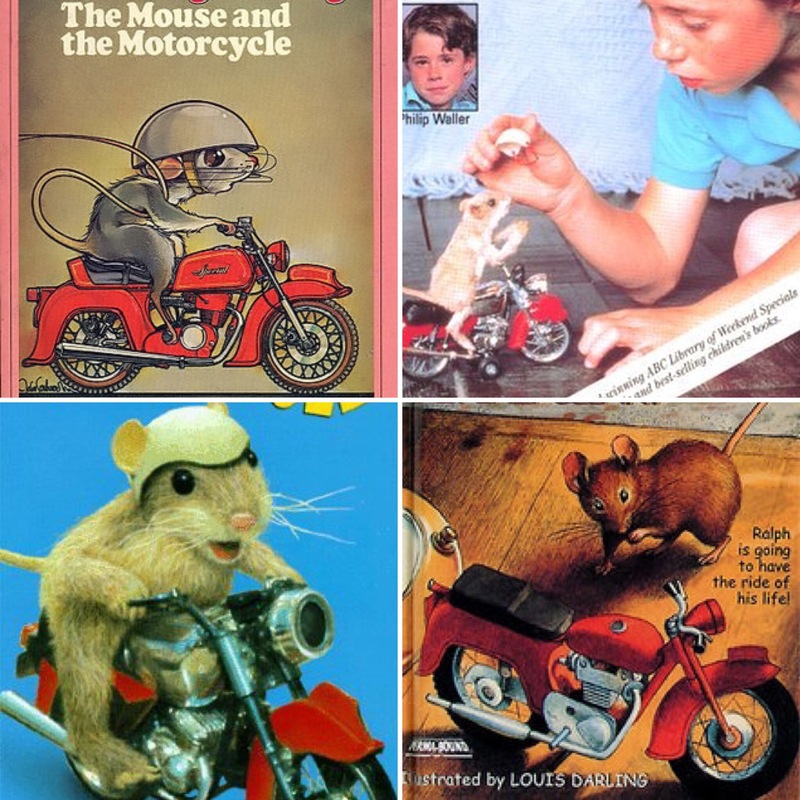 This classic tale of a rodent on his red ride is much loved by the bairns. 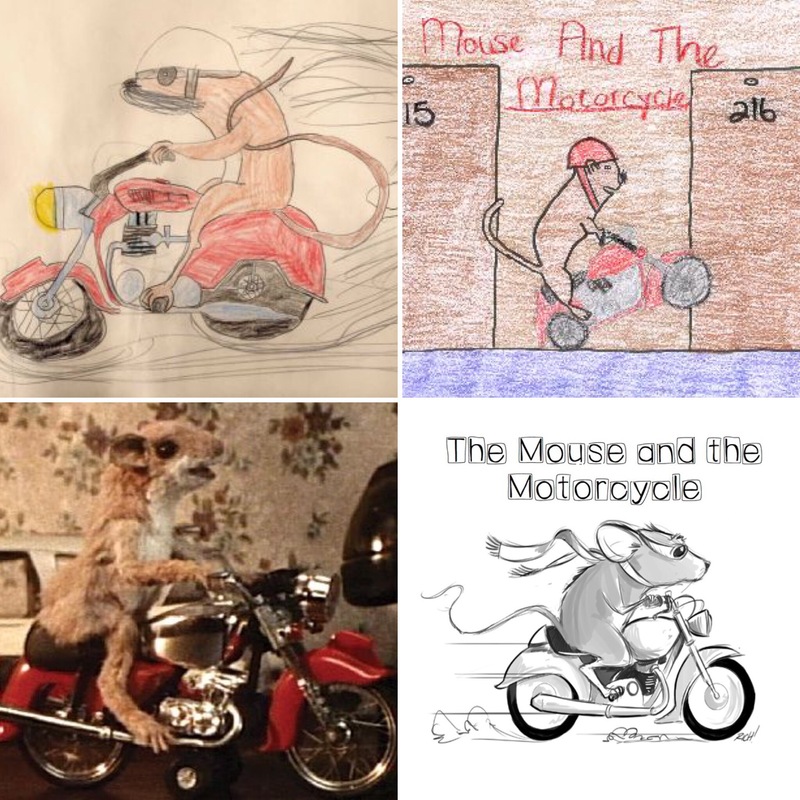 Children’s drawings, cartoon sketches and a movie. 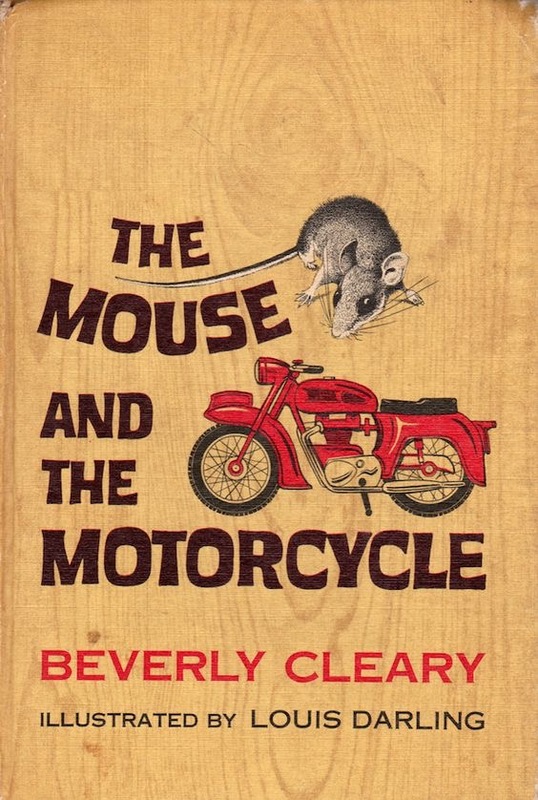 I particularly love this book cover with a delicate illustration of mouse and moto! The motorcycle looks like a Triumph Thunderbird. 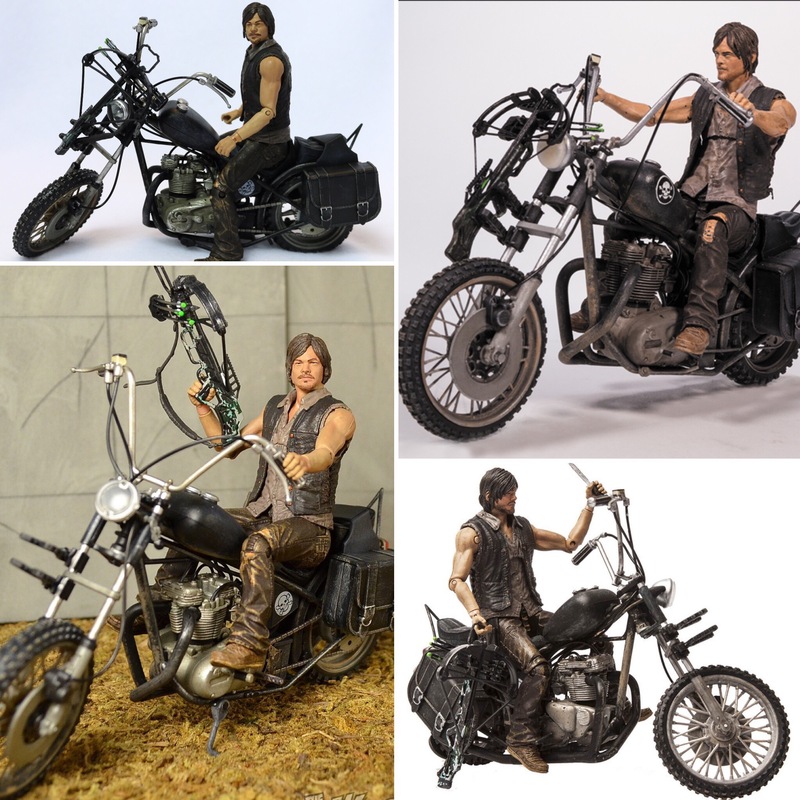 Action Figure – on Monday past we saw the real Daryl Dixon stoking his Triumph chopper in search of the undead. Today is the ultra detailed ‘collector’ toy in poseable form with well defined bike components and machinery.